Congratulations to Prostar Saban who has found his forever home with a look a like, Fiona. 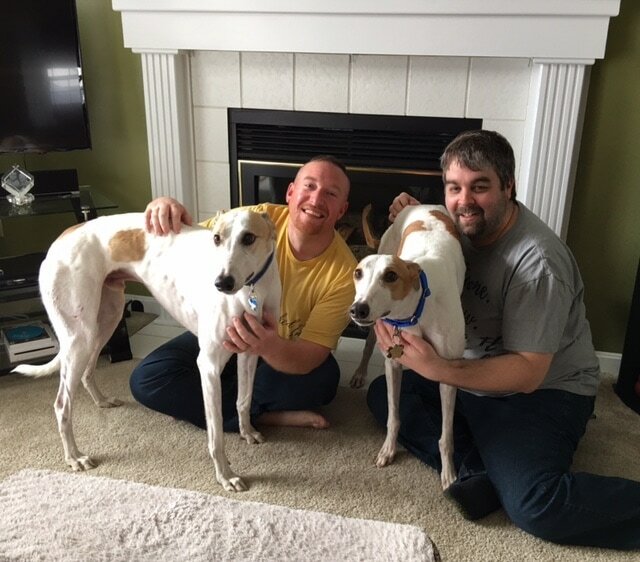 Chris and David live in Mainville and decided Fiona needed a friend and when Saban (now Axel) walked into their home Fiona was so happy and gave him a kiss! They ran around in the back yard and just instantly hit it off. He is a lucky boy to have found such a loving family to call his own! I'm confident we will see a lot of them at GAGC Gatherings.